It should be said, for the record, that Apple’s iPhone cameras are ranked within my top 10 favorite smartphone camera. However, it is not the best. Even know Apple used to own the smartphone photography landscape, things have changed since the iPhone 4S. Companies like Nokia/Microsoft, Samsung and LG have been improving their camera technology non-stop. And with the like of the LG G4 and the Samsung Galaxy S6 (Edge), Apple’s claim of having the best camera just would not stand anymore. So, according to the latest leak from Foxconn, Apple is also stepping up its game with the new camera for the iPhone 6S. The leak is a drawing, or design, of the camera component that will be featured in the next iPhones. If this is correct, both variants of the iPhone (S6 and S6 Plus) will be sporting a 12-megapixel shooter as the main camera, with support for 4K recording, as well as 240fps slow motion. 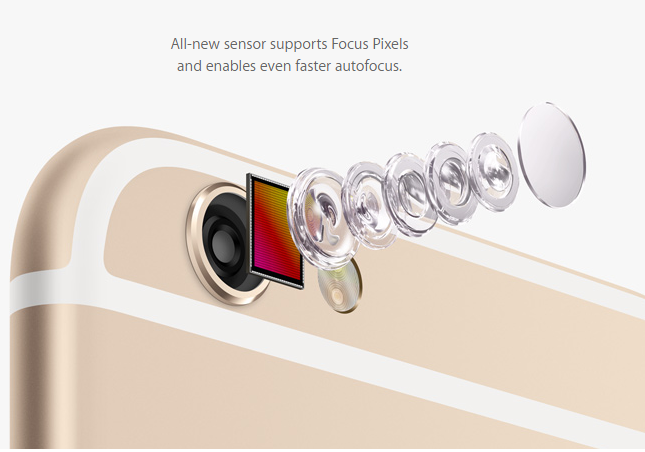 The source also believes that Apple is also pumping its front-facing camera resolution up to 5-megapixel. Along with this drawing are some spec leaks and codename. It appears that the S6 and S6 Plus’ codenames are N66 and N71. Both will also be carrying 2GB of RAM. While that is all we have for now, Apple is bringing some promising upgrade to its phone, and there will be more to come. It is will be very interesting to see how it compares to Samsung and LG’s smartphones, which are considered to be the best in the market right now.